Co-op quests - challenging adventures designed to be played with your friends! A fantastic and growing community of players who will help you learn and have fun! Rec Room is the best place to hang out with friends from all around the world! Play intense multiplayer games like Paintball, Laser Tag, Quest, and Rec Royale, or just chill with friends in the park. There are thousands of player-created game and event rooms for you to discover, with new ones added daily. You can even build your own rooms with your friends. Rec Room is cross platform and free, so come and join the fun! 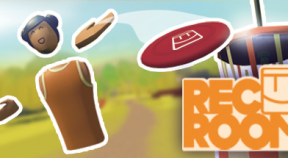 Rec Room is an active game. Please use common sense and caution while playing! Children between 13-18 must consult with a parent or guardian before playing. In Early Access, Rec Room defaults to being a public experience. You will interact and voice chat with other people in real time. Rec Room offers mute, ignore, and reporting features which we encourage you to learn and use. But even if you use these features, you still may be exposed to speech or behavior you find inappropriate.